What types of camps are there in Guelph? 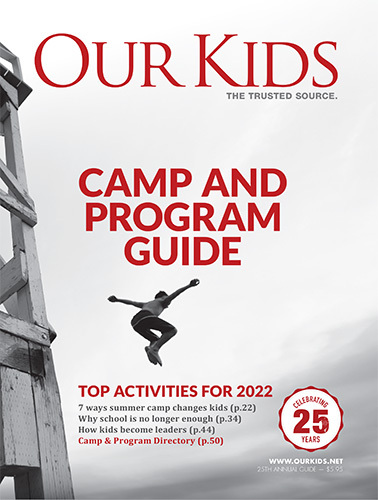 Whether your child is sporty, artsy, adventurous, or a book-worm (or all of the above), you’re sure to find the right camp for them. Guelph is home to many different types of camps, offering a wide range of fun and stimulating programming. The list below only scratches the surface of what’s offered. Sports camps: Sports camps are a popular option, especially during the summer time. In Guelph, you’ll find camps focusing on soccer, swimming, karate, acro gymnastics, and many more sports. This includes sports camps for kids of many different ages and skill levels. Education camps: Camp can also be a great way to pursue a passion for learning. Guelph camps run the gamut in educational programming, from engineering and computers to STEM and debate. Adventure camps: If your child is active, likes to have fun, and craves adventure, Guelph has a variety of camps and programs to select from. This includes wilderness, animal, and overnight camps. Choosing the right camp or program for your child is an important task. Make sure you do your homework. This means researching camps carefully. You can learn all about camps by reading their profiles here on Camps.ca. It’s also important, though, to talk to camp heads directly. Ask them plenty of questions to ensure you find a camp that’s the right fit for your child and family. If you know other parents with children who have attended the camp, it’s a good idea to talk to them to get the inside scoop. And if it’s an overnight camp, it can sometimes be helpful to visit it, get a tour, or do a one- or two-day family “try-out” to get a closeup feel. Above, we list camps in Guelph, in the Wellington County of Ontario. Click on a camp to learn all about it, including its cost, programs, and session dates. You can also contact the camp directly, ask them questions, and register your child today.